It's only a little over a week away.... tell your friends, spread the word, and be there! 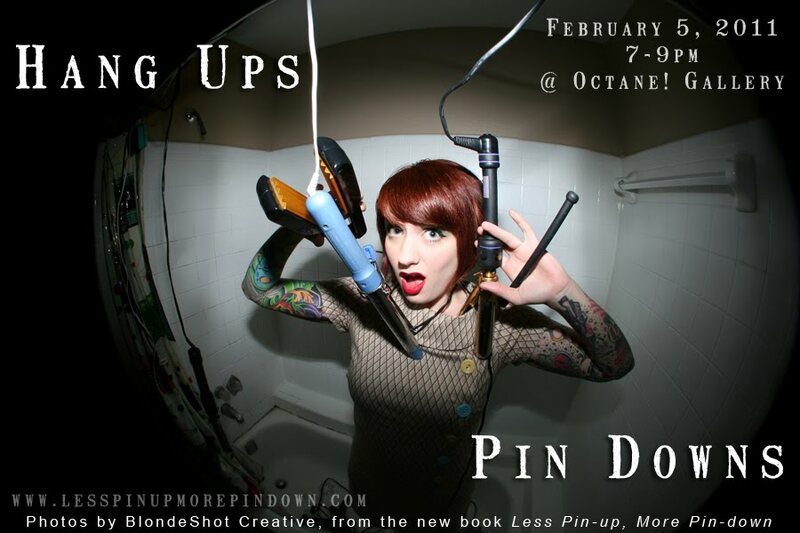 Solo photography exhibition and installation with photos by Jenn Alexander Fletcher of BlondeShot Creative. Photos are from the photographers new book Less Pin-up, More Pin-down. Opening reception Saturday, February 5th, 7-9 pm. Join us for a night of photography and fun! There will be a popcorn bar, a giveaway, book signing, and a special photo op. from 9-9:30 pm- get your photo taken by the photographer herself in the same style as the photos on exhibit. Event is free and open to the public. * RSVP on Facebook here.